Art layers give you the possibility to divide the artwork in your drawing on different layers. For example, you can separate the outline and colour fill on two art layers, similar to 1950s traditional cell animation. These art layers are contained within a single drawing—see Creating Strokes. 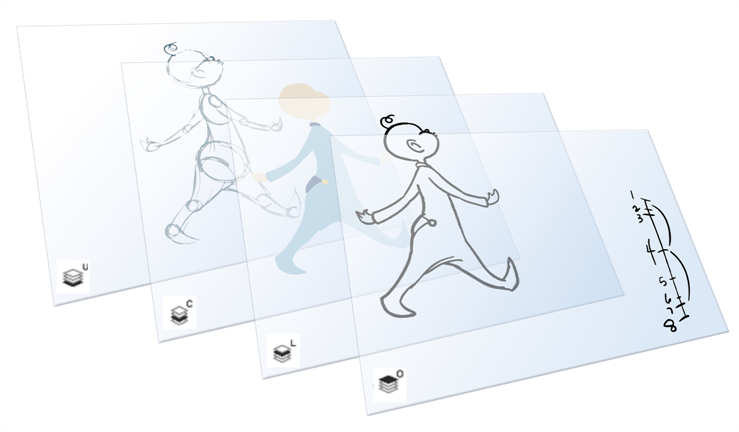 Toon Boom Harmony drawings include two layers in Advanced Art mode. Each layer can be used for separate hand-drawn animation tasks, letting you organize your work and facilitate creation and revision. 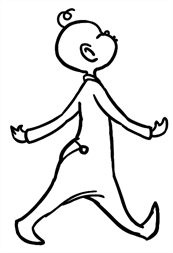 In hand-drawn animation, the Line Art layer is mainly used to trace and clean up animation. The outline is drawn in the Line Art layer and colour is painted in the Colour Art layer. In hand-drawn animation, you use the Colour Art layer to paint your animation. The outline is drawn in the Line Art layer and colour is painted in the Colour Art layer. Strokes (invisible lines) are generated from Line Art to contain the painted area. When you are doing rough animation, you may want to send a clip for feedback or approval before carrying on with your work. If you have several characters in your project that are overlapping, it may be difficult to understand what is going on as you can see through the characters. Toon Boom Harmony can generate a matte automatically in the Colour Art layer, and fill all the zones inside your characters to make them opaque. This process is fast and easy, and allows you to send easy-to-understand movies. ‣ In the Drawing view, right-click and select Switch to Colour Art/Switch to Line Art or press L.
‣ In the Colour view, click the Colour Art button. ‣ In the Colour view, click the Line Art button. ‣ In the Drawing view, right-click and select Preview Line Art and Colour Art or press P. While using the Preview mode, edit one mode at a time. ‣ In the Colour view, click the Preview button. To edit both Line Art and Colour Art at the same time, you must enable the Apply to Line Art and Colour Art button in the Tool Properties of the tools supporting the operation. A drawing is composed of Line and Colour filling layers. Lines and colours can be separated or kept together, depending on which animation process you use. The following diagram presents Line Art and Colour Art recommendations based on the selected animation workflow. When a traditional drawing is scanned, strokes are automatically created in the Colour Art from the Line Art when drawings are vectorized unless you specified otherwise. When working with Cut-out animation, we recommend that you do all of the work in the Line Art. 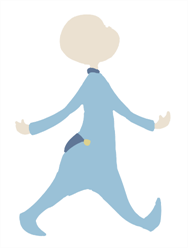 Once the drawing sequence is completed for paperless drawings, you can proceed with creating Colour Art strokes if you plan to paint the animation in the Colour Art. 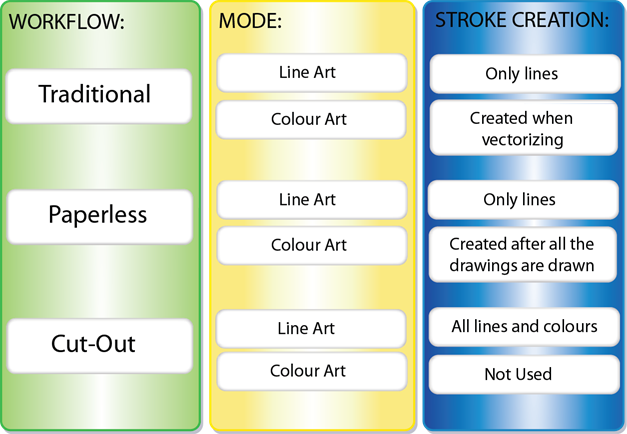 Use the Create Colour Art from Line Art option to create strokes from your lines. You may have some traditional drawings that need to be fixed; for example, needing extra lines to patch gaps. Use the Auto-Create Colour Art from Brush option to create the strokes at the same time as the lines are drawn. This creates strokes from the lines and brush strokes created in the Line Art while you draw and is useful for fixing drawings. However, if you are drawing a new sketch, it is better to create the strokes afterward using the Create Colour Art from Line Art option. NOTE: Make sure to select the Advanced Art Mode in the Preferences dialog box to use this feature. In the Tool Properties view, click the Permanent Selection button if you want to apply the operation on all drawings in the layer. In the Camera or Drawing view, select the artwork to transfer to the Colour Art. 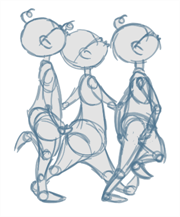 Create a selection around the entire animation sequence if you want to apply the operation to all your drawings. In the Drawing View toolbar, click the Create Colour Art from Line Art button or press *. In the Tool Properties view, enable the Create Colour Art Automatically option. Once you're done, deselect the Create Colour Art Automatically option. You are now ready to paint your model.